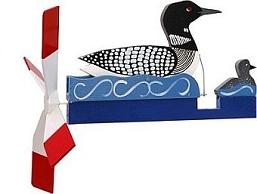 Classic Handcrafted Antique Whirligigs Made in USA! 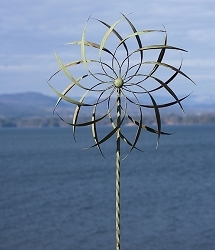 Decorate your Lawn, Garden, Deck or Yard! 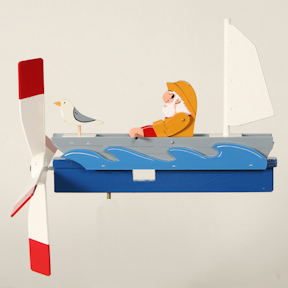 Old Salt Whirligig - Watch as the “old salt” rows his boat out to the harbor in search of his favorite fishing hole. 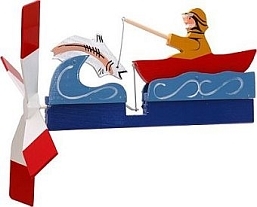 The faster the wind blows, the more the figures move! 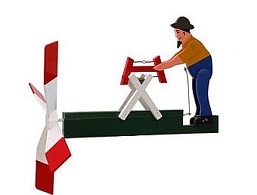 A typical Classic Antique Whirligig is 16" long by 11" high and weighs 2 pounds. 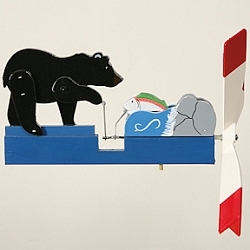 Each is constructed of solid white pine (no plastic or plywood), sealed with durable acrylic enamel paints and painstakingly finished with silkscreened and/or hand-painted detail. A lightweight fan (14" in diameter) drives the action, and the base is free-swinging. Our whirligigs are tested for functional integrity prior to packaging, ensuring your enjoyment for years to come. Proudly made in the USA! 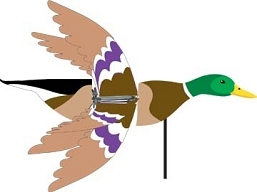 Optional mounts and extra propeller sets available at checkout! Replacement Propellers - The Whirligig propeller, like all components of our Whirligigs are constructed of durable materials made to last. However, for whatever reason, you may need to replace a propeller sometime in the future. The extra prop might come in handy! 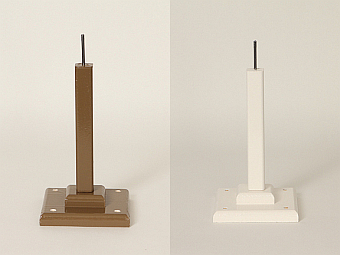 Yard Mounting (Do-it-Yourself): Select a post or pole desired, for mounting. Posts or stakes that are 1 ½“ to 2” in diameter are best. Pre-drill the post or pole to prevent splitting. (3/16” drill bit) Set the supplied 20d mounting nail in the center of the post being careful that the nail and post are exactly vertical to prevent the unit from dropping excessively in any direction. 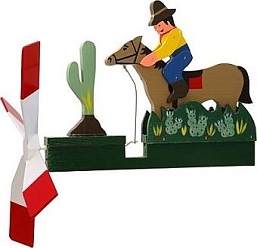 When mounted correctly on the vertical nail, the Whirligig will swivel (weathervane) freely into the breeze. Deck Mount - This mount is made for decks. 12" high x 6" square base. Some assembly required. Available in tan or white colors. 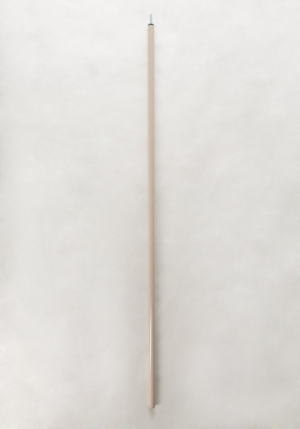 46" Garden Post - This 46" long stake allows you to mount your whirligig anywhere in your yard or garden. Tapered point for easy installation. Sturdy galvanized metal construction that will not rust. 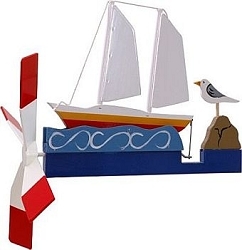 Ships unpainted silver color, but can be painted in any color desired. Proudly made in the USA! (Available at checkout) Note: Must ship separately. Freight cost included in price. 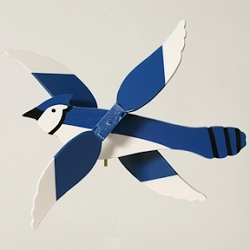 Whirligigs are whimsical, wind-driven expressions of American folk art that first appeared in this country nearly 200 years ago. Traditional designs depict common characters and activities of early American rural life, from farmers milking cows to lumbermen chopping wood. 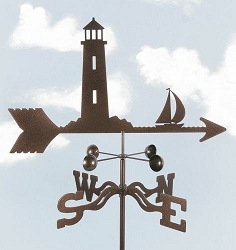 Old-timers called them “comic weathervanes”. The faster the wind blows, the more furiously the figures move. 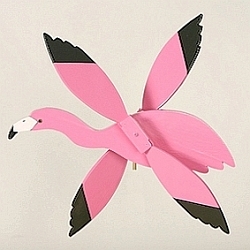 In some parts of the country, whirligigs are known as buzzers, gee-haws, spinners, pinwheels, whirlybirds, or whirlyjigs. Some swear the resulting vibration also drives away moles. Whatever their practical use, the pure pleasure of watching these brightly painted wind toys explains their timeless popularity.